RunKeeper and Pebble E Ink have made their partnership official. The latest Runkeeper app update, 3.3, available on iOS and Android includes support for the Pebble. 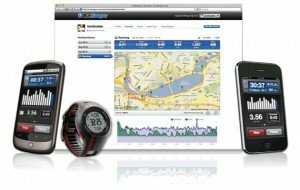 RunKeeper is a hugely popular fit tech app, which works with your smartphone to allow you to measure your running performance. This partnership between Runkeeper and Pebble was effectively agreed whilst Pebble was still a prototype, and it’ll allow Runkeeper users to track their metrics without needing their smartphone. The data will be passed from the smartphone to the watch via Bluetooth, providing data on distance, time and pace. The app update is about more then just integration support though. 3.3 delivers some nice incremental improvements. The iOS update brings multi-lingual support with six new languages. Android focuses on better user experience, with improved navigation and easier data input.